If you suffer from candida, UTIs or IBS or similar, listen up. If you’ve never had such illnesses then you’ll want to know this when you do. Bio-Kult is a vegetarian supplement range developed to boost our immune system through probiotics. So much so that a standard box of Bio-Kult contains 14 different probiotic strains. That should be helpful if you suffer from travel sickness, diarrhoea, leaky gut syndrome, irritable bowels or eczema. Candida can be a life-changing illness when the bacteria gets out of hand – and, apparently, one third of us carry it. 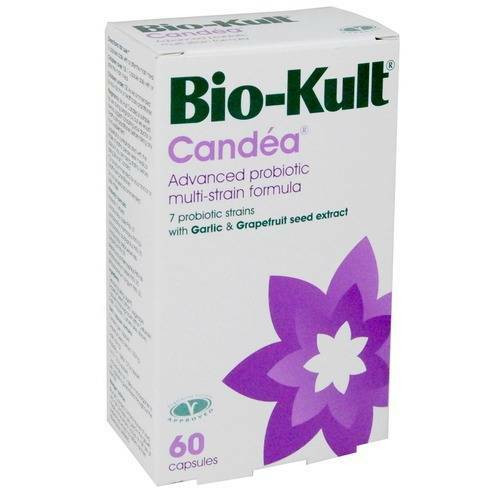 So, Bio-Kult have also developed a probiotic supplement called Candéa which includes powerful properties from garlic and grapefruit seed extract: these are believed to strengthen the body’s natural defences against the overgrowth of Candida. A more common illness are Urinary Tract Infections which cause a lot of unpleasant experiences in the nether regions. Bio-Kult Pro-Cyan uses probiotics with with cranberry extract and Vitamin A to help your body to maintain a healthy urinary tract. It’s also just recently won an award as the Best New Product from 2012 as voted for by CAM (Complimentary and Alternative Medicine) Lifestyle Magazine readers. Occasionally, I write about autism because of links between the condition and a person’s diet. Just earlier this year the Penn State College of Medicine released a report affirming the benefits of a restrictive diet to some children with autism. But this remains controversial since advice from The National Autistc Society suggests restrictive should not be used in treating adult autism and NHS guidelines on the dietary benefits for children won’t be released till next year. If you are a parent trying to work your way through the minefield of medical treatments then I’m very pleased to announce an upcoming autism conference run by parents for parents. And it might please you to know that the organisers are giving away 2 free tickets. The Treating Autism conference 2012 is a two day event on 8-9 September, at Brunel University, Uxbridge. Day one of the conference will offer delegates a choice of three in-depth workshops that focus on therapies you can use yourself at home: Intensive Interaction, Relationship Development Intervention, and Verbal Behaviour. The second day of the conference will be devoted to biomedical treatments. Speakers range from cutting edge researchers to parents who are biomed veterans. For more information on how to attend the conference you can visit their website But, if you’d like to enter the competition send me an email with your name and address, and I’ll draw a winner from the hat on 10.08.12 (UK addresses only). Possibly 75% of people around the world are lactose intolerant – which might go some way to explaining why there are so many alternatives to milk. But there are numerous other reasons too, it might be simply be beneficial to health, or autism related, or asthma, or galactosaemia, or a sensitivity to casein or one of many other problems with drinking milk. Whatever your reason it’s important to make sure you’re still getting the calcium, iodine and vitamins that you need. Rich in nutrients and easier to digest (even though it still contains lactose). It has less casein but almost as much fat and calories as cow’s milk. However, it can cause a vitamin B12 deficiency in children. Sheep’s milk has twice as many minerals, eg. calcium, phosphorus and zinc and the vitamin B-complex, as cow’s milk. But it is also higher in calories and fat. Like goat’s milk, it is easily digested. And it’s also a good source of iodine, which helps if you suffer with thyroid problems. Five times as much Vitamin C as cow’s milk. Helps with diabetes. Contains some lactose. Not easy to source. Higher in calcium, protein and iron and contains more vitamins and minerals (including calcium and iron) and 43% less cholesterol than cow’s milk. But it also has twice as much fat and still contains lactose. Not easy to source. Half the amount of protein of cow’s milk, and calcium is often added. Rich in Omega 3, minerals and vitamins, hemp milk also has a creamy consistency. No lactose. 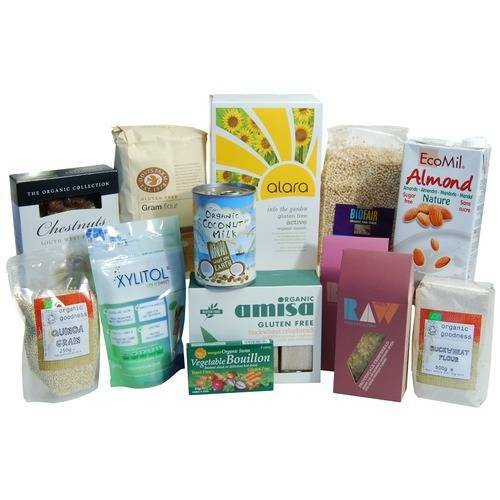 Quinoa is a very digestive food and nutritionally well balanced. It’s protein contains all essential amino acids and it is rich in unsaturated fatty acids. No lactose. A good source of fibre and B-complex vitamins. Cholesterol free. No lactose. Rich in fibre, lowers cholesterol and low-GI. It’s actually the preferred energy drink of many athletes. A pleasant milky taste. No lactose. Has a higher phosphorus and potassium content than regular milk. Helpful in repairing the body, though it doesn’t contain calcium. No lactose. Highly recommended for its milk-like taste. No lactose. Lower in fat, higher in fibre and less calories than cow’s milk. Rich in protein and minerals. No lactose. Compared to soya, rice milk is considered closer to cow’s milk in taste and texture. It is naturally sweet, low in fat and high in fibre. But it’s also low in calcium and protein. No lactose. Soya milk is high in protein so it’s useful for cooking with. It is also comparatively cheaper than other milk alternatives due to its ubiquity. However, some avoid it because it can raise estrogen levels. No lactose. Tastes great, and has some of the lowest calorie counts of all milk alternatives. No lactose. A thicker consistency. It also provides calcium and sulphur. No lactose. Lots of phosphorus, iron, magnesium and fibre makes coconut milk a superfood. It’s low in calories, boosts immunity and has a distinctive creamy taste. Delicious but not easy to find. Just as well it’s easy to make… Cashew’s are a good source of copper and magnesium. The argument is that pasteurisation destroys some of the goodness in milk which would actually make it digestible for people with gut problems. It remains to be seen whether ‘green top milk’ is actually helpful for people with psoriasis and high blood pressure. Possibly the milk of the future: milk that is treated by UV instead of pasteurisation? You can also make milk from peas, peanuts, or seeds! Ever thought of making your own rice milk ice cream? I came across this great GF/CF recipe for ice cream from Kathleen Fafard Caldwell and I must say I’m impressed with the results. Appreciated by us all, but especially for my friends kids who stick to the gluten free/ casein free diet. Anyway I thought it definitely worth sharing with you all. I make some rice (1 cup warm cooked rice) (mushy rice is best for this recipe. I just add extra water and over cook the rice). and one tablespoon oil (we use flaxseed, or coconut oil). Puree until smooth (usually about 10 minutes for us because the kids won’t drink it if it has lumps). I stop the blender every few minutes and scrape the sides. Add 3 cups of hot, filtered water and blend until smooth. Either freeze or put in the fridge and drink nice and cold. We also like to put fresh fruit and home made rice milk in the blender to make ‘fruit smoothies’. You can substitute the rice with nuts to make almond or pecan milk too. Dr Natasha Campbell-Mcbride is the mother of an autistic child and became a pioneer in the nutritional treatment of autism and here describes the basics of her protocol. There is an unmistakeable epidemic of autism sweeping across the globe, which cannot be explained by genetics or better diagnosis. Autism is essentially a digestive disorder. In the first two years of life the child’s digestive system, instead of being a source of nourishment for the child, becomes a major source of toxicity. Hundreds of toxins produced in the gut of the child get absorbed through the gut lining into the bloodstream, are carried to the brain and “clog” the brain with toxicity. 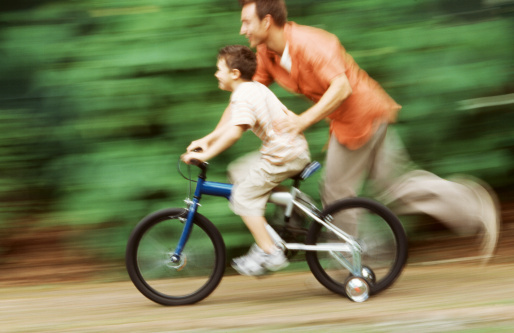 Autistic children usually have normal eyes, ears,tactile sensitivity and taste buds. All the information gathered by these sensory organs is passed to the brain to be processed and learned from. By looking, listening, tasting and touching the baby and toddler learn how to communicate and experience behave appropriately. However, if the brain is hampered by toxicity, it cannot process this sensory information and cannot learn from it. As a result everything the child hears, sees, touches and tastes turns into a noise in the child’s head, sometimes frightening, sometimes pleasurable, sometimes overwhelming. From this noise the child cannot learn anything useful. In the first two years, language, normal communication, normal behaviour are learned – these are all the things an autistic child does not acquire. Babies are born with sterile digestive systems. In the first 20 or so days of life that sterile surface gets populated by a mixture of microbes, which becomes the child’s gut flora. If the child does not acquire the normal gut flora then the digestive system will not be healthy and cannot digest and absorb food properly. It follows that the autistic child will suffer colic, abnormal stools, bloating, reflux and malabsorption with multiple nutritional deficiencies. The child is then immune-compromised and this leaves them open to allergies, auto-immunity, ear and chest infections, impetigo and colds for which they are prescribed broad-spectrum antibiotics. Autistic children receive numerous courses of antibiotics during the first few years of life and this affects the quantity and quality of friendly bacteria in the gut. The role of beneficial bacteria is to control the growth of pathogenic (bad) bacteria, viruses and fungi which are responsible for Clostridia and yeast, mainly of the Candida family. The toxins produced by these microbes flow from the gut to the brain and this is what makes the child autistic. Abnormal gut flora, gut dysbiosis, caused by use of drugs and antibiotics and modern lifestyles, is passed mainly by the mother to the child thus starting the slide into autism. The majority of autistic children are extremely fussy eaters and can get trapped in a vicious cycle of food cravings, intolerances and addictions and without intensive help are unable to break out of the habits. It takes determination and effort on the part of the parents but meal times become enjoyable as a result. There are a few supplements which are essential in order to heal the gut and restore immunity and brain function. It needs to be worked out by a practitioner to meet the requirements of the individual child. Autism is not a doom and gloom disorder, there are hundreds of published cases around the world where autistic children have fully recovered and lead normal lives.